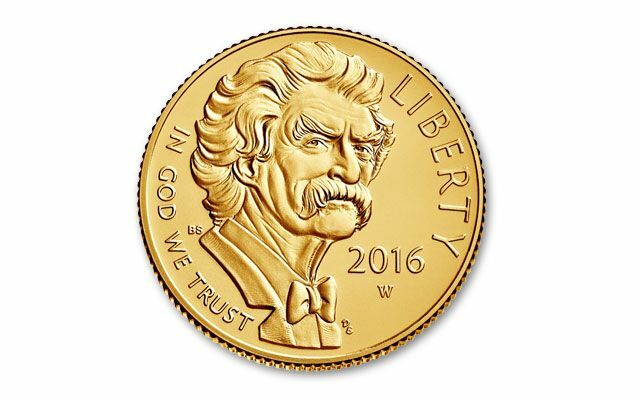 The very first commemorative issues from the U.S. Mint for 2016 honor Mark Twain, one of the icons of American literature and culture. 2016 marks the 180th anniversary of his birth. Twain grew up Sam Clemens in Hannibal Missouri on the banks of the mighty Mississippi. His friends and acquaintances provided the characters and stories for some of his celebrated works, The Adventures of Tom Sawyer, The Adventures of Huckleberry Finn and Life on the Mississippi. 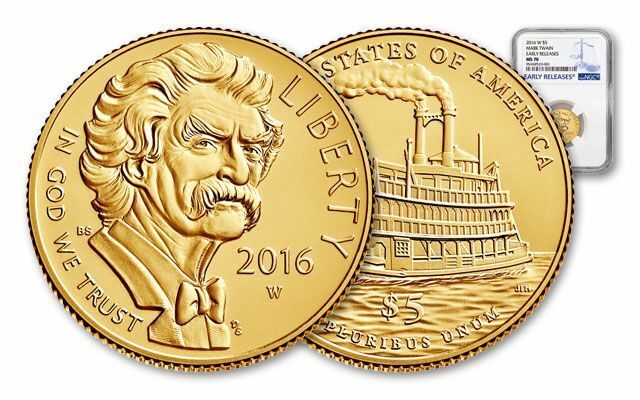 The 2016 Mark Twain commemoratives are emblematic of his life and legacy. The gold coin's obverse design shows a bust of the author along with the date, Liberty, and In God We Trust. The reverse shows a steamboat on the Mississippi and the Legends United States of America and E Pluribus Unum. 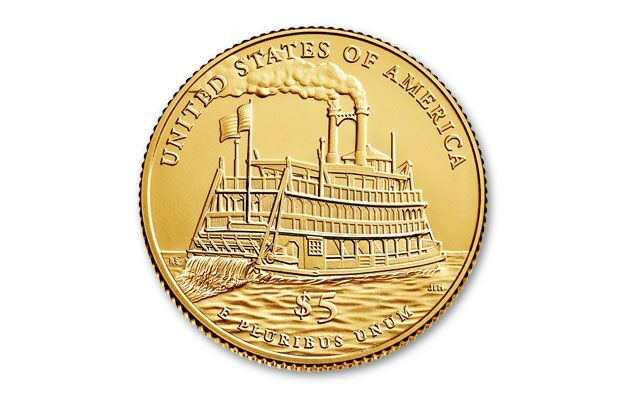 The gold coin bears the denomination $5, which is just below the steamboat. The gold coins are struck at the West Point Mint and show the 'W' mintmark on the obverse below the date. Each is struck in 8.539 grams of 90% gold. 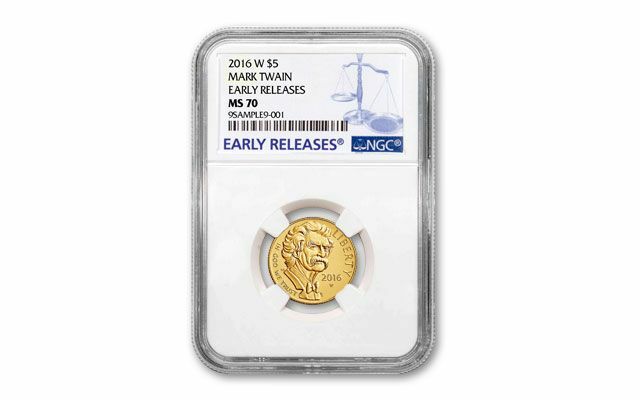 Many serious collectors may want to obtain coins graded Mint State-70 (MS70) by Numismatic Guaranty Corporation (NGC). Why? Because an MS70 coin is the highest grade a coin can achieve, and adding perfection to your collection means no other collector in the world can own one better. Each is sealed in an acrylic holder to assure the coin's grade forever. The maximum mintage for the Gold is 100,000 for both BU and Proof versions combined. This is an incredibly small mintage for a coin of this popularity. Don't be surprised if you check back later and find a 'Sold Out' notice posted. Better to secure yours now!